The Insiders Cash Club claims that it can help you earn $500 to $5,000 per week with just a few clicks of your mouse. You don’t need technical experience, SEO or write content. All you need to know is “copy and paste” and the rest is handled by the Insiders Cash Club system. But can you really make thousands of dollars with this system? Or is Insiders Cash Club another scam to avoid? As a full-time blogger, here’s my profile. Every day, I receive hundreds of ads offering a better opportunity to make money online. But most of them do not live up to their promises. I can tell you this, copy and paste is not how I make money online. I have never found success in these quick and easy systems. I use a business model that has helped thousands to achieve online financial success. If you’re willing to do some work, I suggest you check out MY 6 FIGURE INCOME BLUEPRINT. There is a major problem with copy and paste system when using as an online business. I’ll discuss more in this Insiders Cash Club Review. How Does Insiders Cash Club Make You Money? Is Insiders Cash Club a Scam or a Good Investment? Real Way to Make Money Online Besides Inside Cash club. Insiders Cash Club a work-from-home system claims to help complete newbies make up to $5,000 per week online, with a few clicks of a mouse. The bold claims made by the Insiders Cash Club are similar to others I’ve exposed recently like Daily Cash Siphon and the Click Bank Cash Code which are a complete false. In fact, over the last couple of years, I have exposed many scam systems, so I know exactly what to look for especially with programs like the Insiders Cash Club. The cost of the system is $8.99 per month, which is relatively cheap to start an online business. What this system promising is that they will teach you how to make money with e-commerce, affiliate marketing, blogging, and online advertisement using an automated system. The truth is this training system throw together various ways to make money online, which you can find online for free. The group behind the Insiders Cash Club is Ortiz Capital LLC. This is the same company behind other get-rich-quick schemes such as the Income Engine System & the Pay It Forward System. These systems did not get good reviews. Insiders Cash Club spokesperson, Jeffrey Hart makes this system sound like the perfect system that will enable you to earn fast and easy cash online. He says there is only so much he can reveal publicly in the sales video and will get into a lot more detail about the product when you sign up. In other words, you have to buy into the system to know how it works. These types of systems are becoming all too common. The Insiders Cash Club works by using an automated system which you can start earning affiliate commissions with just a few clicks of the mouse. All you need to do is press Go and the money starts rolling in. All get-quick-rich schemes started by saying how easy to make money with their system. However, there are no products or systems where you can click a GO button to make money online. The internet is not an ATM. 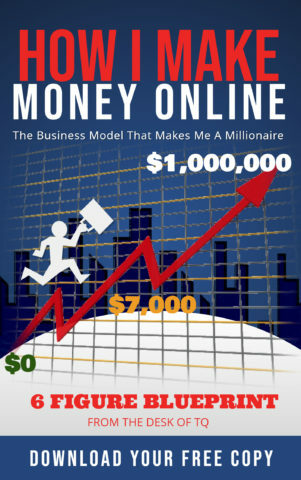 If make money online is this easy, then all of us would have been billionaires by now. If you decide to enter your email to register for a free account, you are passed onto another page of the website and the video that tells you your commission account is being created. The free membership allows you to watch videos and take notes about various ways to make money online which you can read for free by click on the link. If you want to make money with the Insiders Cash Club, you have to fork out $8.99 per month to set up an eCommerce business with complete access to Insiders Cash Club training program which is the owner claims to worth over $11,605 in online tools, lessons, and support. Again, this is nothing more than marketing hype to get you in the door. No one in their right mind will give away something worth over $11k for just $8.99. Would you? The moment you buy you are hit with tons of promotional emails and upsells in your inbox. This is how they make their money off you. So, don’t expect to make a lot of money with the Insiders Cash Club. Yes, you might learn some valuable knowledge, but this information is available for free online. Here’s an example of 10 FREE LESSONS on how to make money online which you can use to start your business. All online reviews decide to label Insiders Cash Club as a scam because this is marketing hype, not a real training program. However, I’ll provide you with a few investment points to consider before signing up for the program. A typical get-rich-quick scheme starts with marketing hype on how easy it will be to make money just by purchasing their product and sit back to see the money rolling in. It then offers you more add on products and systems that are just as useless as the main system itself. The entire scheme is to get the most money from you into their pockets, rather than helping you build a REAL online business. The owner of Insiders Cash Club business purpose is to build a huge email list of people interested in making money online. With this list, the owner can generate tons of money selling it to third parties. In other words, this is a highly valuable target email addresses of people who have proven as buyers to make money online products. Now, you know why there are some many of these get-rich-quick schemes online. Unlike email collecting business, this program takes another step to extra more money from you. This is purely evil. They even took steps to make false testimonial videos by using paid actors from Fiverr or Upwork to show the system is legit. However, if you watch the Insider Cash Club promotional video carefully, you will notice that the owner sometimes states his name as Jeffrey Hart, and in other testimonials as Jeremy Scott. When you watch a lot of fake testimonials, you can easily spot the mistakes and the inconsistent statements in these videos. I use this to determine if a program is a scam or real. Some would say the Insiders Cash Club is not a scam because you do get some training lessons from it. Are you looking for a training program to help you make money online? Or are you looking for information on how to make money online? Your answer to the questions above determines if the Insiders Cash Club a scam or not. If you’re looking for information, then Insiders Cash Club does offer what you need. If you want to make money online, then don’t expect to achieve your dream with this program. I have made my case. It’s up for you to decide if the Insiders Cash Club a scam or a good investment. When it comes to making money online, you need to understand that it’s a business, and NO “cut-and-paste” systems or automatic programs will generate a full-time income for you. Yes, it’s possible to make money online, but success is the result of hard work and determination. Building a successful online business doesn’t happen overnight. Automatic ‘system’ that makes money magically appears in your bank account is a sort of garbage that scammers use to make money for themselves. Protect yourself and don’t get involved with any done-for-you programs. They simply don’t work. Ask yourself this: Will you give away a system that automatically generates millions of dollars with a few clicks of a mouse? Don’t waste your time chasing after products like the Insiders Cash Club, which offers empty promises, why not learn to build your own online business the right way. That’s how I make a consistent income month after month. I learned to build a blog site and use affiliate marketing to make money online. I prefer Affiliate Marketing, but you don’t have to. You just need to learn how to build websites and monetize them to earn passive income. It sounds complicated, but it’s actually not. If you are unsure, I suggest you use these 10 FREE LESSONS to discover the real ways to make money online. If you want to make serious money online, check out my FREE training program with a proven track record of helping thousands of people successfully making passive income online. I invite to join our team and make a living online, without a boss. I am here to help, click the link to start and ask any questions. This Insiders Cash Club might not be the best, but It’s honest and truthful.